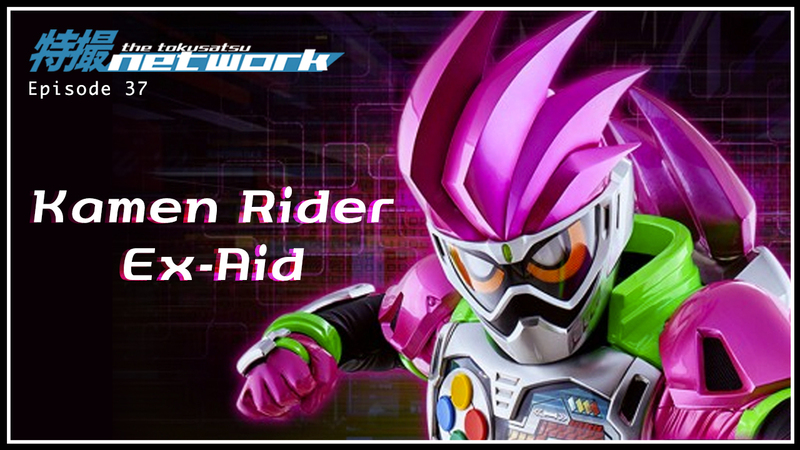 The TokuNet podcast crew reaches the final stage as we review Kamen Rider Ex-Aid. Recorded late last year, the podcast crew gets together to talk about the quite eccentric season known as Kamen Rider Ex-Aid. We discuss the highs and lows of the show, what worked and didn't quite work for us, and our favorite characters and moments. Tune in next episode where we review 2017's Uchu Sentai Kyuranger (Space Sentai Kyuranger)! Be sure to subscribe to TokuNet Podcast on iTunes and Stitcher. Feel free to rate and review our content! Additionally, if you’d like to get a early access to the TokuNet Podcast, become a Rider tier patron or higher by supporting us on our official Patreon.